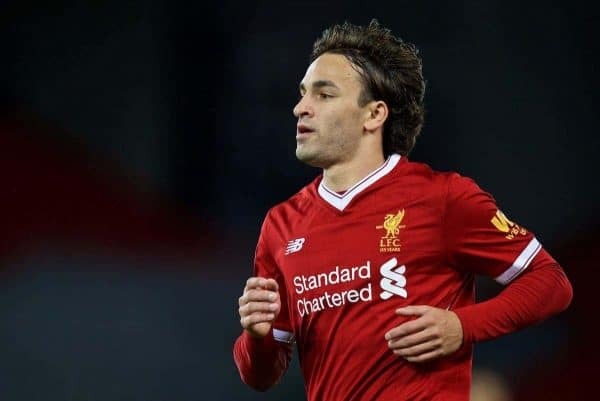 Lazar Markovic has made his latest loan move away from Liverpool, joining Belgian Pro League side Anderlecht for the rest of the season. Markovic spent the first half of the campaign on the margins at Melwood, training regularly under Jurgen Klopp but failing to make a first-team appearance. The Serbian only featured once for the Liverpool U23s, too, and was desperately in need of a switch during the winter window to revive his flagging career. Hein Vanhaezebrouck’s outfit have come to Markovic’s aid in that respect, making a late approach to seal a temporary deal for the 23-year-old. This is Markovic’s fourth loan switch since joining the Reds in 2014, following stints with Fenerbahce, Sporting CP and Hull City. He played 14 times for the Tigers in their ill-fated battle for survival, and though he scored just twice he produced some impressive displays. This time out, Markovic will be hoping to make a more tangible impact, with Anderlecht currently third in the Belgian top flight, but 12 points behind leaders Club Brugge. The former Benfica winger, who arrived in a £20 million deal in 2014, is one of many players to leave Merseyside this month, following the likes of Philippe Coutinho and Daniel Sturridge. Liverpool have only made two signings, with a club-record £75 million deal for Virgil van Dijk followed by a considerably lower-key move for teenage left-back Tony Gallacher.